Do you ever get that feeling? The one where you’re completely, crazy bored with your hair? You feel the need to update your cut, style or maybe even color in some way, but aren’t sure how. Having the same hairstyle all the time is, well, rather boring. While, some of us like routine and don’t feel bored often, other’s want an update every season. We will say this, if you’ve had the same style since college (hopefully, not high school), then it’s time to make a change! There are so many different cuts and styles, it’s easy to be overwhelmed when trying to make a decision. Many people look to celebrities to see all the latest raging trends, while others grab the haircut books at the salon. Just be sure to pick a style that works best with your lifestyle and that fits your personality. Getting recommendations from your stylist and friends is great, but if it doesn't fit in with who you are or your lifestyle, you won't be happy. Here's a quick guide that will help you with your decision. First, you should consider what hair length you prefer, or are comfortable with. When deciding this, think about what works best with your lifestyle too. If you’re someone that constantly puts their hair up in a bun to get it out of your face, what about getting a pixie cut? Are you comfortable with going that short? Deciding on a length that you’re comfortable with will help with the process. What shaped face do you have? You should choose a length and style that works best for the shape of your face, too. For example, if you have a round face, you would want to avoid short curly or wavy hair. Choose a cut that is at your chin or longer to make your face appear longer. Curls and choppy ends are great for a square face. It plays down your strong, angular jaw. If you have an oval face, you’re lucky in the sense that just about any haircut works with your facial structure. For long faces, choose short hair, or a long cut with layers or waves. The layers should hit your cheekbones and chin. Heart-shaped faces look great with long, side-swept bangs, pair them with almost any length hair. Choosing a new look is exciting, with so many different options for length, style, color, and even texture. Think about how you’ll typically wear your hair every day, and if you’ll really commit to the time it takes with certain styles, before taking the plunge. 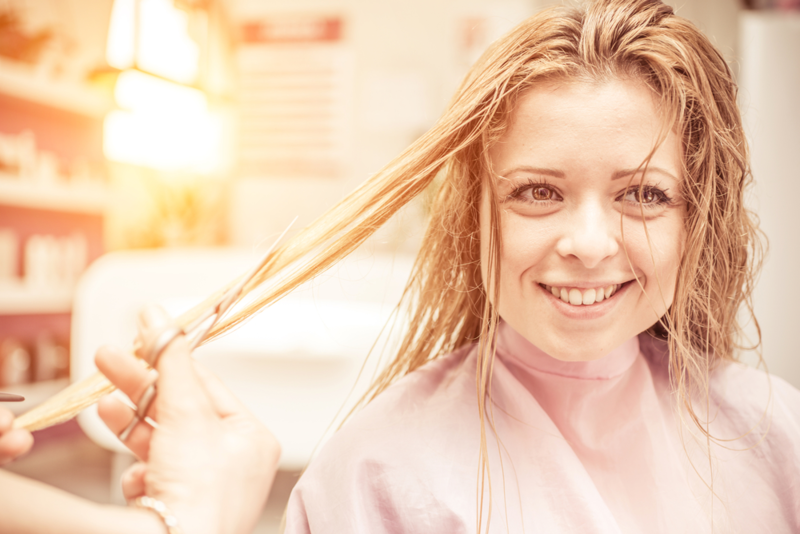 Our team of skilled stylists at Meraki Hair & Makeup Studio are committed to providing the best hair service in the industry. You can find us at 1281 Arthur Kill Road in Staten Island or call 718.966.6601. You can also download our app for free from iTunes or Google Play.